In need of a free printable budget binder to organize your finances? We’re happy to share this ultimate binder of money organizers to help you manage your wallet! Now you can finally track your daily spending, savings and investment. You can finally sit down and write your financial plans! This is one freebie on the blog that we don’t want you to miss. So friends, scroll down to view this brilliant budget binder and later on snag your free copy! Let’s talk about budgeting today. How do you deal with your finances? Do you always know where you money goes? How do you manage you money? What system do you use? While we are no financial experts, we have one tried-and-tested way to help us keep track of our finances — the family budget binder. And today, we thought of sharing the latest version we have on the blog! If you’re looking for a system to organize your finances, you might want to check out our free printable budget binder! 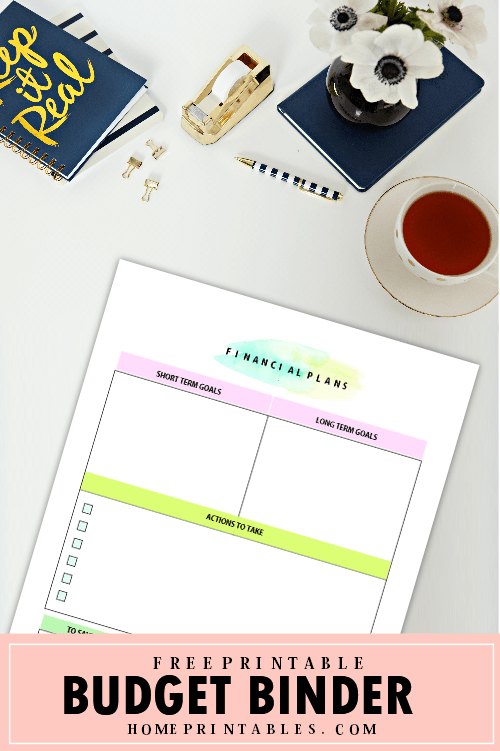 The Free Printable Budget Binder: 15 Financial Worksheets! Bills Payment Log and More! Yup, you’ll get to enjoy all these amazing budgeting printables and so much more. Wondering what the design is? Keep scrolling down to see some of the lovely pages included. 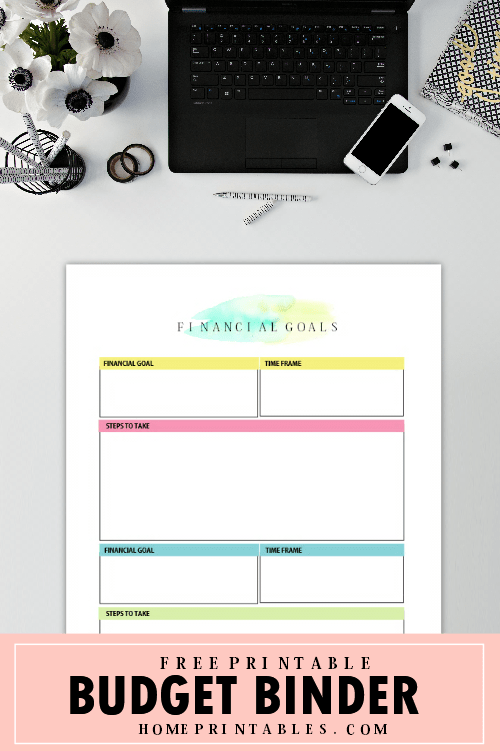 Binder Preview: Check Out This Brilliant Free Brilliant Free Printable Financial Binder That You Can Use Outright! We like to lay our plans, especially our financial plans. If you’re anything like us who likes to have a clear plan when it comes to your finances, we are pretty sure you’ll find this page useful. Here you can write down your short-term as well as long-term financial goals. Not only that, there’s also a spot where you can plan out how much to save, invest, share and spend on a monthly basis! We’re guessing: you already know by now how huge we are with setting our goals, especially our financial goals! Since we work online and most of the time, the effort that we exert can be equal to our earning, we set the amount of money we like to earn per month and we do our very best to reach the target. This is a healthy worksheet for us because it pushes us not to be lazy and be our best self all the time! You, too can set your financial targets in this brilliant planner! So, how do you find those tree planning pages that we included in your free printable budget binder? Do you think they can be useful in managing your finances? If you love them, we’re pretty sure you are also going to love the other planning pages we included! If you’re ready to print your copy, simply go HERE to get your freebie. 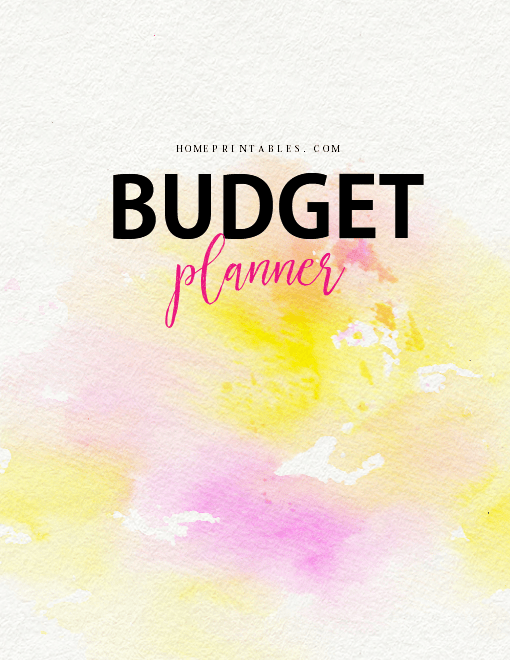 It’s exclusive for Home Printables Newsletter subscribers so be sure to join our mailing list to enjoy the free printable budget binder. We will send your printables straight to your inbox right away! Please note that all of the financial planning worksheets that we included in this binder are designed for printing in sized 8.5″ x 11″ paper. They are absolutely free for personal use and we hope you’ll love them as much as we do! Looking for more free printable financial planners? We have other amazing money organizing planners for you! To ease your search, here’s a list to some of our favorite budgeting planners available. 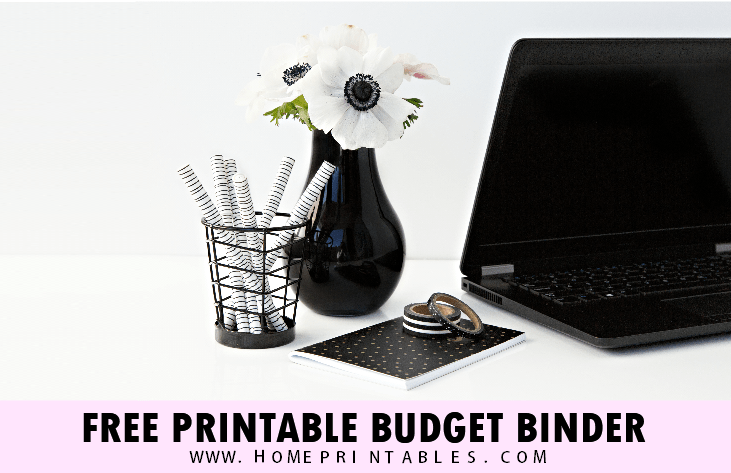 Love this free printable budget binder? Pin it on Pinterest to save for future use! You will also tremendously help us grow Home Printables that way. And for that, we’s like to thank you for your support in advance. Happy pinning! 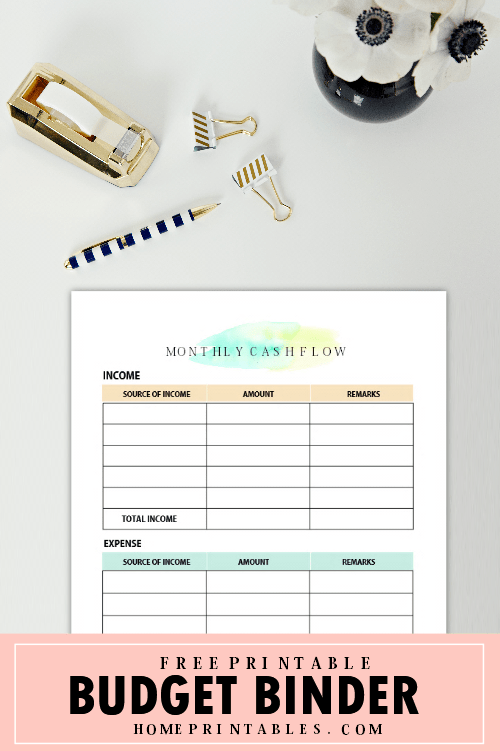 We hope you can really use this free printable budget binder to organize your finances. It’s about time to take full control of your spending. Do you agree? Start your journey to financial liberty. Find more ways to earn, save and invest. Start budgeting your finances wisely with this nifty binder! Organize your finances now and be financially, free finally! You’re welcome! Hope you’ll find it useful.